Every blogger needs essential but once they have the camera and laptop down pat there are a few extras that we need and more desperately want. A portable battery charger that will completely reboot your laptop or a usb hub that lets you to connect anything and everything with no restrictions. Help the aspiring style blogger with a tripod if she doesn't have one of those overrated photographer boyfriends. 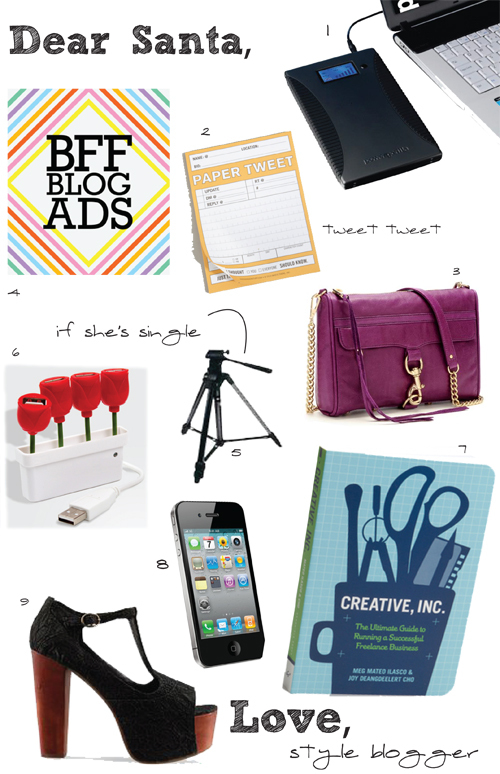 And of course, the best gift I could find for the style blogger holiday gift guide, buy them ad space.